Computer devices are not available at cheap prices all time. And we cannot buy them soon after purchase. 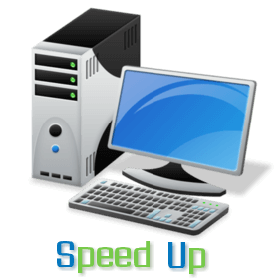 Many of users are not happy with down the performance of their windows PC and decide to change it which is not easy for all. Users install different software and applications according to their requirements and most of time users feel a slight change in processing speed of computer after installation of heavy software. And some of these applications, software and Games take more time to open when double clicks, you can overcome this problem by reading this article. Most of users faced slow performance at the time while opening Menu. This trick will work to overcome this problem. In that box Click on string value. Now double Click on Menushowdelay, Now type (0) zero in numeric. You will find a huge change while open menu.